The UK Treasury announced the new Capital Guarantee Scheme in July 2013, with the declared purpose of boosting growth and jobs through public loan guarantees for developments, particularly in the energy and transport sector. Under the scheme, the Treasury guarantees that if anything goes wrong with a developer’s investment and they are at risk of defaulting on private loans, then these will be paid out of general taxation (up to a set level). So far, only one public loan guarantee has been made under the scheme: £75 million to Drax for their partial conversion to biomass, which reporters and environmental NGOs have shown is linked to the clearcutting of ancient wetland forests in the southern US. Then, in October, the Treasury published a shortlist of 17 projects that have been prequalified for a guarantee under this scheme. 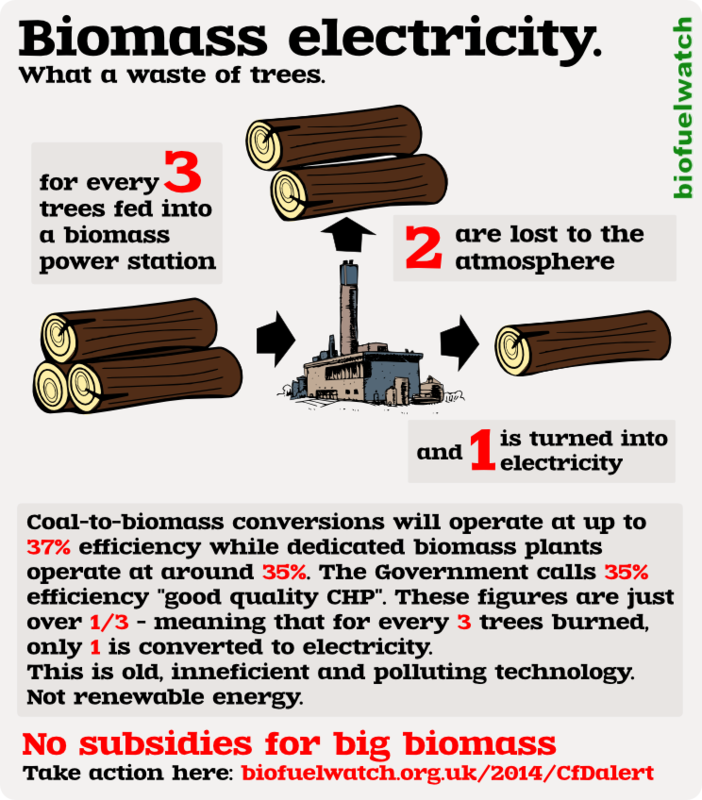 It includes three large biomass electricity developments. One of those is a proposed 100 MW biomass power station in Avonmouth. Helius Energy received planning permission for this power station from DECC, bypassing the normal local planning process, in March 2010. If built, it will burn around 850,000 green tonnes of imported wood a year. Without a public loan guarantee it seems unlikely that Avonmouth power station would ever have been able to be built, since it has failed to attract investment since it was consented to in 2010. Biofuelwatch has been campaigning to get biomass projects dropped from the UK Guarantee Scheme, and supporting a local campaign opposing the Avonmouth development. along with the Biofuelwatch also spoke at the December meeting of Bristol FOE attended by Bristol Rising Tide, Frack Free Bristol, and Bristol Greenpeace.